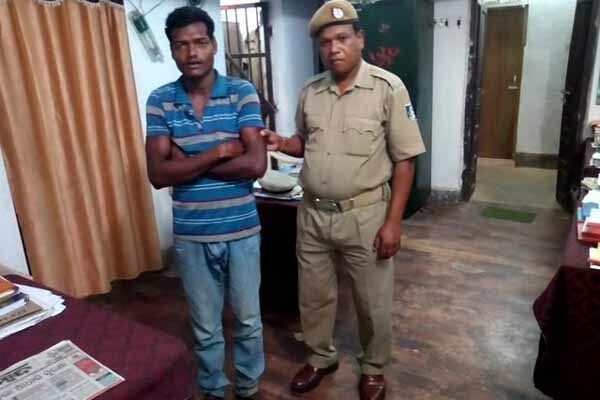 Kandhamal: The Kandhamal district police arrested a man for allegedly killing his two-year-old daughter by slamming her on the floor in a dead drunk state at Mundapali village under Daringbadi police station limits today. The accused identified as Arabinda Pradhan forwarded to the local court which rejected his bail application. Police sources said that the accused returned home drunk on April 13 afternoon. Finding him in an inebriated state, his wife Kumudini reprimanded him following which an enraged Arabinda tried to thrash her. However, she managed to run away from the house. Later, In a feat of rage, Arabinda found his two-year-old daughter playing in the courtyard. Unable to find his wife, he lifted her daughter and slammed her on the floor. Following the incident, residents of the village rushed to the house and took the girl and rushed her to the government hospital at Baliguda where doctors declared her brought dead. Irate villagers thrashed the accused and tied him to a pole and informed the local police about the gruesome incident. Daringbadi police rushed to the spot and arrested Arabinda. The body of the little girl was later sent for post-mortem.